Podcast 054 – Cygnar vs Legion, pHaley vs eVayl: Second Verse, Same as the First! This week’s game saw me squaring off against Nick and his Legion again… last week I managed to squeak out a victory against eLylyth (read all about it in Battle Report 041! ), but this week Nick came with the most popular Legion warlock on an international-competitive level… eVayl! Could my humble pHaley list once again prove triumphant over the vile forces of the dragon? Find out, right here, on Combo Smite! 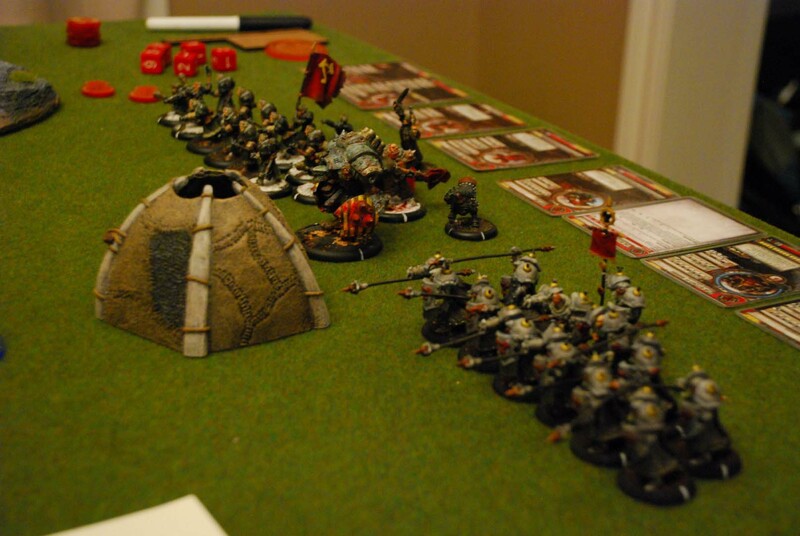 This week I was matched up against Aaron and his Khador. I was bringing out my freshly painted Legion which I have basically never played before. Warning: Expect some Gong-Showiness ahead. We had just completed a Journeyman game and it was getting a bit late to do a 50 pt game so we opted to do a 25 pointer.